Do you believe that today’s youth can greatly benefit from the learning of essential life skills such as leadership, communication, and character? Do you wish to help youth find their “spark” by sharing your own knowledge, interests, and passions? Then you are at the right place! In addition to making a difference in the lives of young people, 4-H volunteers have opportunities for their own personal and professional development. As one volunteer said, "The most memorable aspect of being a 4-H volunteer leader is the quality of the 4-H program as an education vehicle. I grew in self confidence and have since gone back to school to complete a Masters degree and teaching credential." Many 4-H volunteer roles involve working directly with youth while others do not. Some volunteers are engaged with the program for a long period of time, such as leading a 4-H Club. Others volunteer on a short-term, annual, or one-time basis, for example, serving as a judge for a 4-H event. In whatever role you choose to volunteer, our 4-H office can provide training, resources and support that can help make your volunteer position as rewarding as possible for everyone involved. Take a look at what the various volunteer positions involve, then click below to join! 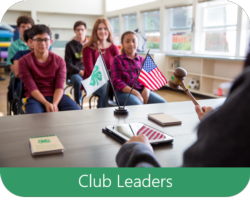 4-H Club Leaders provide administrative support for the 4-H clubs and are present during club meetings. The Club Program Planning Guide describes the overarching goals of all 4-H clubs. Additional resources for club leaders can be found here. Learn more: Read the Project Leaders Digest for guidelines on running project meetings, incorporating experiential learning into projects, and more. Decide on a project: Guide youth in selecting a project from Project Sheets or 4-H Curricula. You can modify project sheets, curricula, or create new projects based on youth interests and needs. Review the project: Use the Project Evaluation Checklist to make sure the project meets 4-H criteria. Get ready! : Use the Project Leaders Checklist to prepare for your first project meeting. 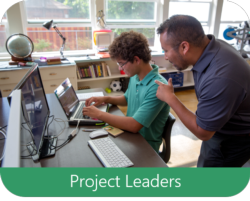 Additional resources for Project Leaders can be found here. Event Volunteers provide leadership and assistance for a specific, short-term 4-H event. 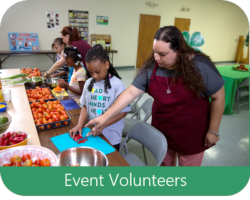 Level of involvement can vary and may involve working with 4-H members to plan and coordinate an event, advertising an event, judging at an event, and/or helping with set-up or clean-up of events. 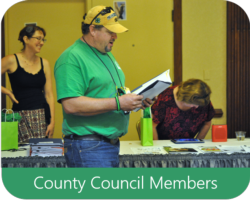 County Council members provide support for all 4-H programming including guiding decision-making, reviewing financial activities, coordinating member assistance, and more. Read more about OC County Council duties here.